Each year, the Formula One Grand Prix races into Austin and brings with it a wave of international appeal, global music superstars, and of course, top-shelf high-octane adventures on the world-class Circuit of the Americas track. But October isn’t the only time of year to get your adrenaline fix in Austin when you’re feeling the need to hit outrageous speeds. To wit: for a repeat corporate client in the automotive industry, we planned and produced a high-energy summit, pulling out all the stops to make it an event to remember, and that meant rounding up some fine machines and seeing what they could do. Partnering with Silvercar, we let guests loose around town in a fleet of sleek new Audi models, giving them a chance to experience some thrills behind the wheel. Blue chip corporate summit planning is all in a day’s work for us, so we orchestrated a partial closure of Austin’s upscale 2nd Street District in order to take full advantage of the area surrounding the ACL Live Stage, where we held a portion of the event. 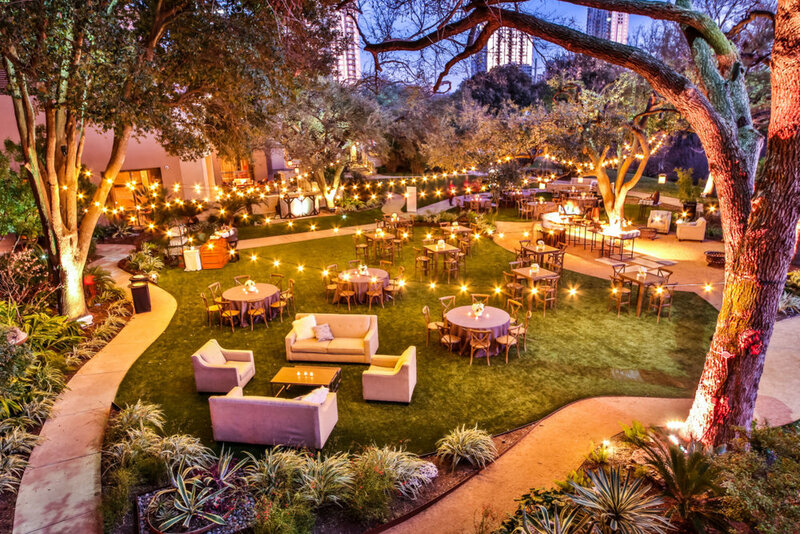 Rather than hosting guests in just one hotel, we divided them up, racing-team style, into seven different properties and then brought them together for several days of connection and inspiration, including a luxury reception at the Four Seasons on Lady Bird Lake. This particular event was our first time working with the luxury car maker, and it was such a winner, they’ve since come back around for more. Ready to put the pedal to the metal on your next big event? Put us in the front seat and we’ll get you to the finish line in a flash.